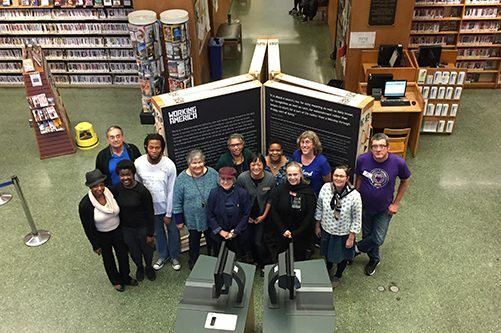 We are thrilled to announce Working in America’s third Stop on the National Tour–Oakland Public Library’s main branch! During summer 2017, the Working in America initiative resided at Pitkin County Library in partnership with the Aspen Institute, hosting community reads and book clubs, kids activities, tours, and Aspen Institute Action Forum events. We will miss our Pitkin County Library Team: they have been amazing, and we thank them! So, we’re off again! And we could not be more excited to be headed to Oakland Public Library from 5th November 2017–31st of March 2018. Learn more about Oakland Library here.